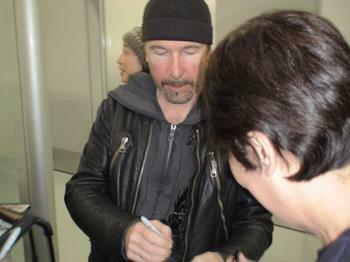 U2.se catches up with Bono on his visit to the Danish capital on Monday. He spoke to members of Børsen Executive Club on topics of free trade and social conscience. 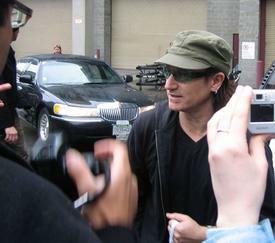 After his speech, Bono took a few minutes talking to fans waiting outside the venue. Read the full report at U2.se.